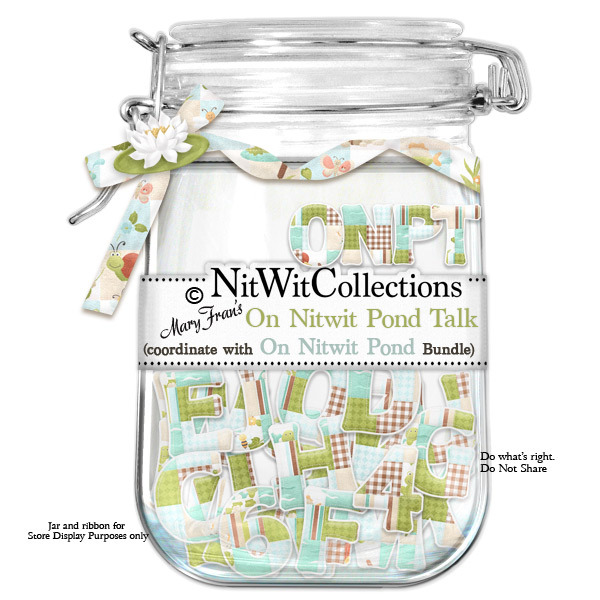 "On Nitwit Pond" Talk gives you the colour coodinated alpha to match this Collection. It is the perfect element to spell out words that add in a memory, name, date, etc. on your cards and scrapbooking layouts.